If you’re experiencing any changes in your physical appearance due to cancer treatment or hair loss of any kind, then you have come to the right place. 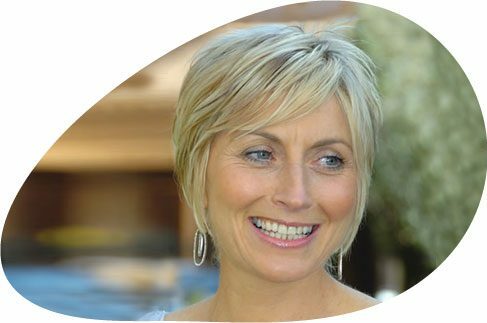 We offer advice and a range of products, services and workshops to help you look like yourself again and to restore your sense of well being and confidence. We are here to help you from start to finish. Among our expert team are 3 former wig wearers and 2 breast cancer survivors, all of whom are qualified and experienced hair replacement and breast care specialists, along with an organic hair colourist and a holistic therapist who specialises in oncology massage. As well as having to deal with a cancer diagnosis in my 30s, to be told I would lose my hair during chemotherapy was a huge shock. I wanted to do as much as I could to be prepared. Within five minutes of arriving in Roches, I was fitted with a wig that matched my hair perfectly. The entire process was stress free and I left with one less thing to worry about. Just because you lose your hair doesn’t mean you lose yourself. And to still FEEL like yourself is hugely important. My wig makes me feel like me, and right now I need that stability in my life. I purchased a wig from Roches a number of weeks ago. I am currently an in patient in The Beacon and want to pass on the amount of praise I have received from the Oncology dept. Nobody can believe I am wearing a wig and say they have never seen one look so good. I have had similar said to me outside but I really think this is high praise from the staff who will be seeing wigs on a daily basis. I hope you can share this out to your web site, you deserve it. I just wanted to give some feedback of the service I received while being fitted for mastectomy prosthesis and bras. Domenica was my specialist. And she was absolutely amazing! She also had a mastectomy and to find a person who knows how you feel and recommend products to you that will make your life easier means so much. She is an amazing lady and is so down to earth. I wish I could bring her home! She is excellent at her job and I look forward to working with her in the future. I worked for a cancer support programme dealing with the visible side effects of cancer and its treatment for five years. The team at Roches are kind, knowledgeable and professional through and through. Nothing is ever too much trouble, they are always willing to help and know the most up to date solutions. I cannot recommend them highly enough. Book an appointment, you’ll be in safe hands and won’t be disappointed! They are experts at restoring confidence. I just had my wig fitted today. I walked in to Roches with a feeling I was going to dread the experience but a big thank you to Roches and their wonderful staff. Patricia looked after me and she made the whole experience so easy for me and my Husband whom was there to support me. I have walked out of the premises feeling a million dollars, my new wig looks fantastic and Patricia gave me the confidence to face my world. I would definitely recommend Roches to all women and to put your trust in them. Thank you so much. Home / Hospital Outcalls - We can come to you.